The 133-page final text of the COP24 climate summit is no exception. The major accomplishment was that 196 governments agreed on arulebook to implement the 2015 Paris Agreement, but the result left bruised feelings all around. On climate change, workers shouldn’t be left behind — they should lead the way. 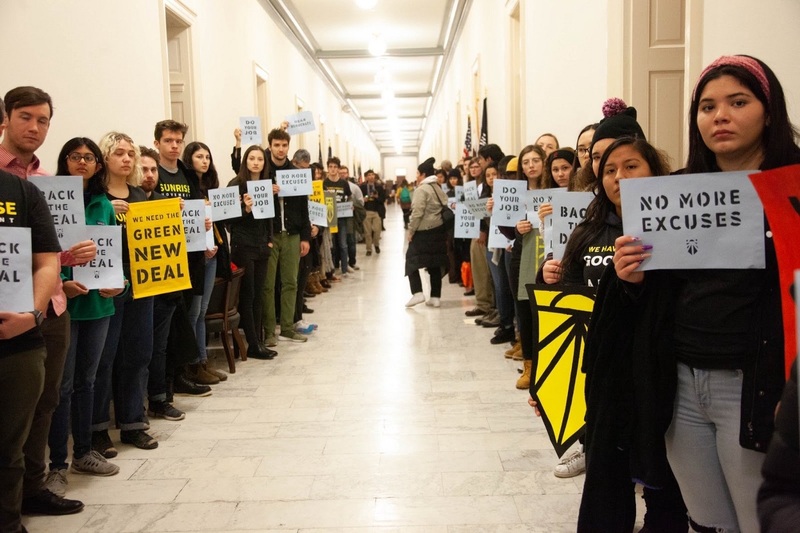 The Green New Deal, catching fire in America, is the kind of policy plan that Canadian unions could loudly champion. Photo via the Sunrise Movement. Canada’s unions need to play a much larger leadership role on climate change, not just because it’s also about economic policy that directly affects the livelihood of their members, but also because there’s a good chance we won’t get where we need to go without them helping to get things done. California on Friday became the first state to mandate a full shift to electric buses on public transit routes, flexing its muscle as the nation’s leading environmental regulator and bringing battery-powered, heavy-duty vehicles a step closer to the mainstream. Starting in 2029, mass transit agencies in California will only be allowed to buy buses that are fully electric under a rule adopted by the state’s powerful clean air agency.